Nextgen Group and Alcatel-Lucent Submarine Networks have switched on Australia’s first purpose-built, subsea, fibre optic network, running 2,100 km from Darwin to Pert Hedland. The 820-kilometer long Pakistan-China fiber optic cable project from Rawalpindi to Khunjerab is expected to be completed by June 2018 at a cost of $44 million. After completion, it would add a digital component to the China-Pakistan Economic Corridor (CPEC) project. 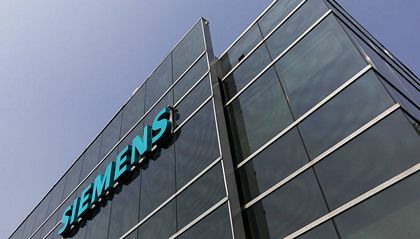 The final investment decision has been made for the 28-MW pilot offshore wind project in northern Denmark that will use Siemens AG's 7-MW turbine, the German engineering group said today. Nexans cable technology has been selected by VBMS for the world’s first 66 kV offshore wind farm. As part of its own contract with EDF Energy Renewables, VBMS will use the Nexans 66 kV inter-array cable system to provide the subsea connection between the offshore turbines and the onshore grid for the Blyth Offshore Demonstrator Wind Farm Project. With offshore wind turbines growing in size, the new 66 kV Nexans technology is improving the lifecycle cost-efficiency compared to 33 kV systems. Eight South African employees of the Chinese majority-owned Yangtze Optics Africa Cable (YOAC), which is midway through the construction of one of the biggest local optical fibre cable manufacturing plants, are currently being trained on fibre cable manufacturing, in preparation for the launch of the plant in January 2017. GE signed a multiyear agreement in Iraq with Mass Energy Group Holding. The US$520 million contract also includes operation and maintenance services as well as GE’s advanced digital industrial solutions for the 3-gigawatt gas-fired Basmaya Power Plant, only 40 kilometers east of Baghdad. This contract represents a continuing effort between Mass Energy Group Holding, the Iraqi Ministry of Electricity (MOE) and GE to bring much-needed power to the people of Iraq. Developing the United States' first large-scale offshore wind farm has been anything but a breeze. There are the daunting regulatory hurdles at both state and federal levels. Financing has to be scraped together. And myriad engineering details, which include ensuring the towering turbines have sound footing and connecting the project to the power grid, must be sorted out. In the last decade dozens of Chinese cable makers showed rapid growth in their insulated cable revenues and rose into the Top 100 rankings. It is now clear that this rise up the rankings for the Chinese cable makers has peaked in 2015. As demand growth slowed in China, North American and European producers held their own in the Top 100 rankings in 2015. These are the latest results from Integer's Top 100 Global Wire & Cable Producers Database 2016. Switzerland-based Huber+Suhner has entered a five-year agreement to provide cabling for Bombardier Transportation's current and future rolling stock. The head of EDF Energy has urged the British government to approve the Hinkley Point C nuclear power project, an explicit appeal by the French energy giant ahead of a decision due within weeks.